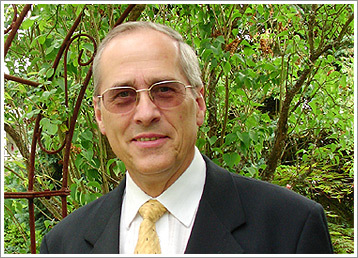 Bertram Huber, a principal of IP*SEVA, is an international intellectual property expert based in Backnang (near Stuttgart), Germany. He is Rechtsanwalt (Attorney-at-law) under German law. He holds a Doctor degree in Law (Dr. jur.) from the University of Tuebingen. He is a visiting lecturer of the Law Faculty of University of Tuebingen on Intellectual/Industrial Property Law, International IP Strategy and Management and License Agreements/License Law. As former Senior Vice President of Robert Bosch GmbH, Stuttgart, Germany, and Head of Corporate Intellectual Property he was reponsible from 2000 until 2009 for the global intellectual property activities, in particular the strategic development and management of the patent portfolio and licensing activities of the Bosch Group. Bosch is worldwide among the largest automotive suppliers and ranks among the most active patent applicants in the world. Before joining Bosch in 1995, Dr. Huber headed the Legal and Patents Department of the telecommunications company ANT Nachrichtentechnik GmbH since 1983. He began his professional career in 1978 at AEG-Telefunken AG. Dr. Huber has extensive negotiation and technology licensing experience with a main focus on China, Japan and other parts of Asia as well as Europe and the Americas. Over many years he participated in the elaboration of IP policies in the context of technical standards, e.g. at ETSI (European Telecommunications Standards Institute). His special focus is on patent strategy, organization of IP management on a global scale, technology collaboration, licensing and other IP related contractual as well as practical challenges (including research and development cooperation and technology transfer of all types), patent commercialization / exploitation as well as IP education and consulting. In many parts of the world, Dr. Huber is a frequent lecturer in conferences, symposia, seminars and workshops in a wide range of IP related topics. Publications include works on the interpretation of the ETSI IPR Policy, know-how protection, climate change and the patent system, technology transfer to China and on Brazilian inflation treatment. He is active in a number of Intellectual Property organizations: AIPPI (since 2010 Member (Chair 2010 – 2016) of Standing Committee IP and Green Technology, 2004 – 2010 Member of the Programme Committee), Munich Intellectual Property Law Center (Chairman of the Board of Trustees), Past President of LES (Licensing Executives Society) Germany, GRUR Deutsche Gesellschaft für Gewerblichen Rechtsschutz und Urheberrecht (German Association for Intellectual Property and Copyright, Member of the Board of Section South-West), VPP – Vereinigung von Spezialisten auf dem Gebiet des Gewerblichen Rechtsschutzes (Association of Experts in the Intellectual Property Field). During his industry practice, he also played a leading role in a number of industry associations, such as BUSINESSEUROPE – the industry association of European industry associations (Member of the Patents Working Group), BDI – Bundesverband der Deutschen Industrie (German Federation of Industry Associations, Member of the Special Committee Intellectual Property), VDA – Verband der Automobilindustrie (Association of Automotive Industry, Past Chairman of the Intellectual Property Committee). Since 2013, Bertram Huber has been included every year in “iam Strategy 300 – The World’s Leading IP Strategists” which lists 300 experts in IP strategy from all over the world.